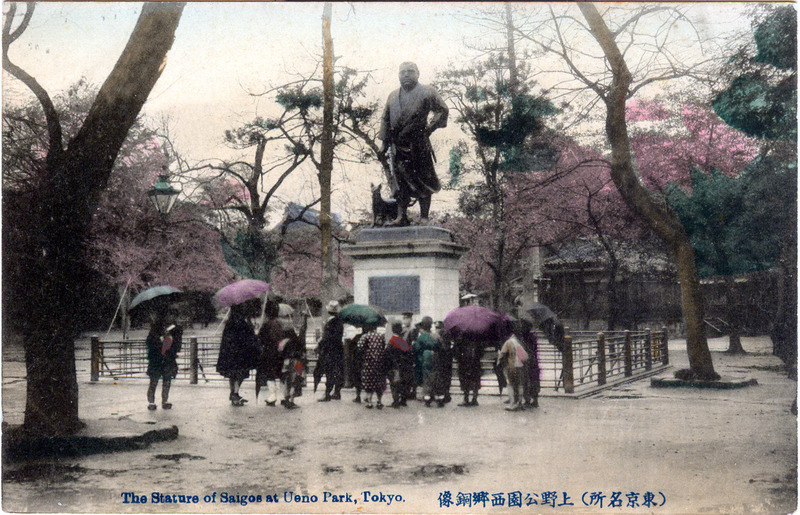 The Statue of Saigo at Ueno Park, c. 1910. “To judge from the examples Morris gives us in The Nobility of Failure, more than one Japanese hero has been widely believed to have escaped death and gone into hiding in some distant land, there to bide his time until the right moment comes for him to return to Japan and finish whatever heroic work his enemies had interrupted. “Statue of Great Saigo”, Ueno Park, Tokyo, c. 1910. 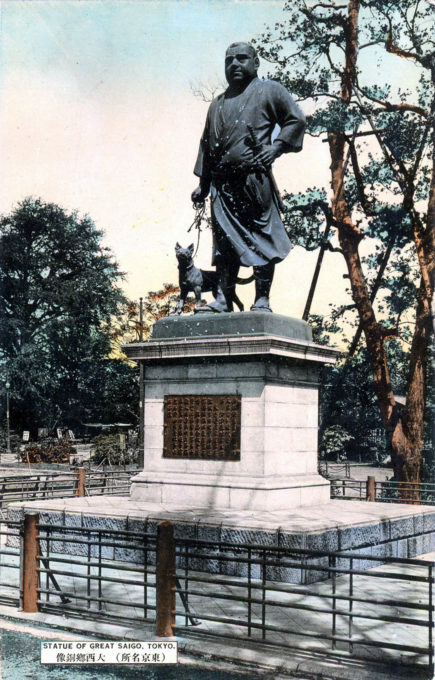 From the wiki: “Saigo Takamori was one of the most influential samurai in Japanese history, living during the late Edo Period and early Meiji Era. He has been dubbed the last true samurai. 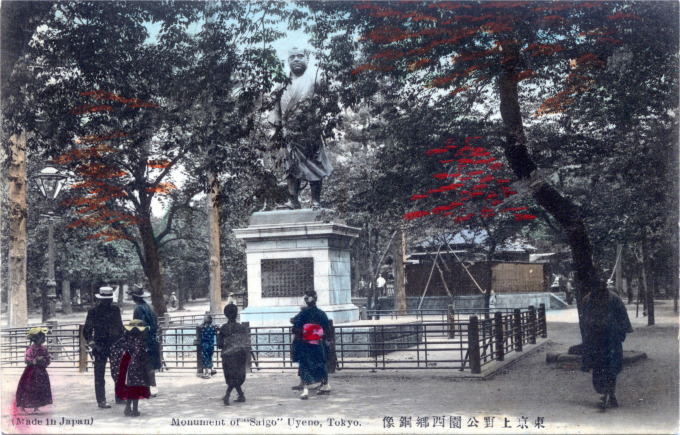 During the Boshin War, Saigō led the Imperial forces at the Battle of Toba-Fushimi, and then led the Imperial army toward Edo, where he accepted the surrender of Edo Castle from Katsu Kaishu. “A decade after the Restoration, it was Saigo who would reluctantly lead an unsuccessful insurrection — the Satsuma Rebellion — against the very same Imperial government he had previously championed. The Satsuma rebels numbered around 40,000, dwindling to about 400 at their final stand at the Battle of Shiroyama in September, 1877. 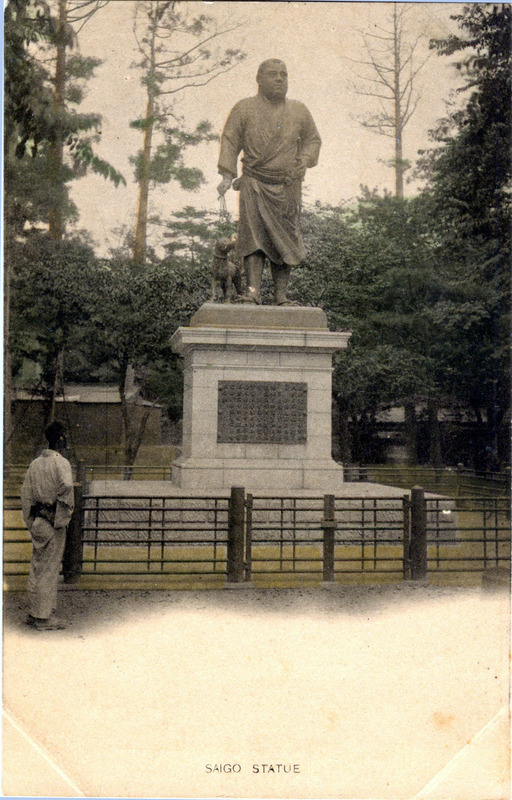 Saigo died of injuries suffered in battle. 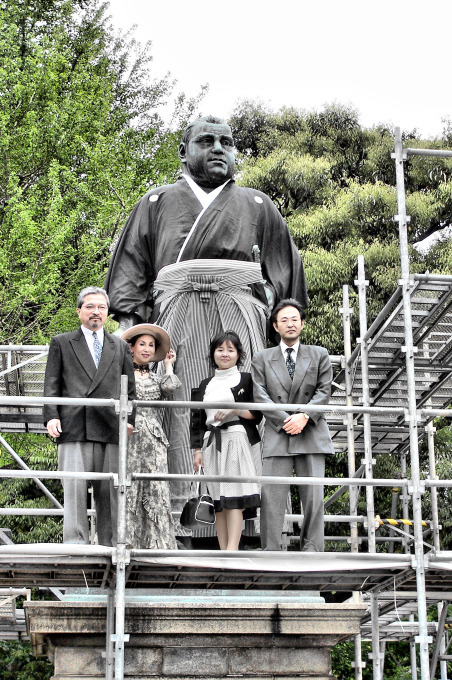 Note: I had the great fortune, during my April, 2007 visit to Tokyo, to happen upon the dedication of a new bronze Saigo statue at Ueno Park that was attended by a few of his descendents. 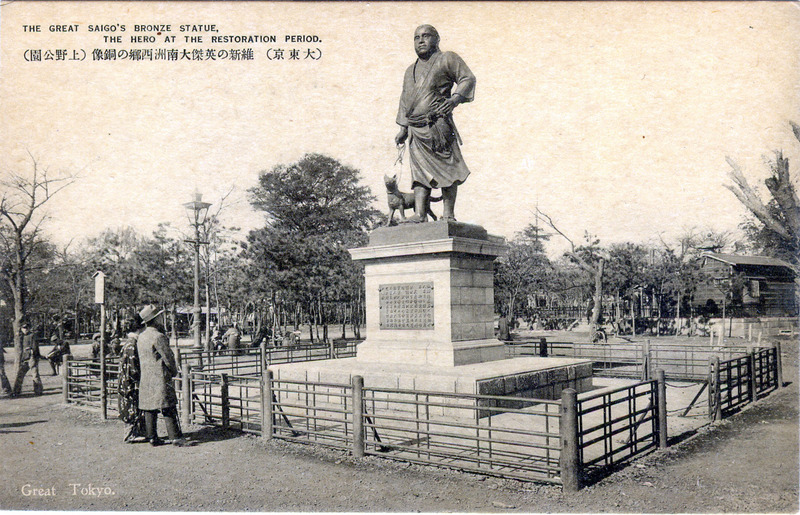 Saigo statue at Ueno Park, c. 1910. 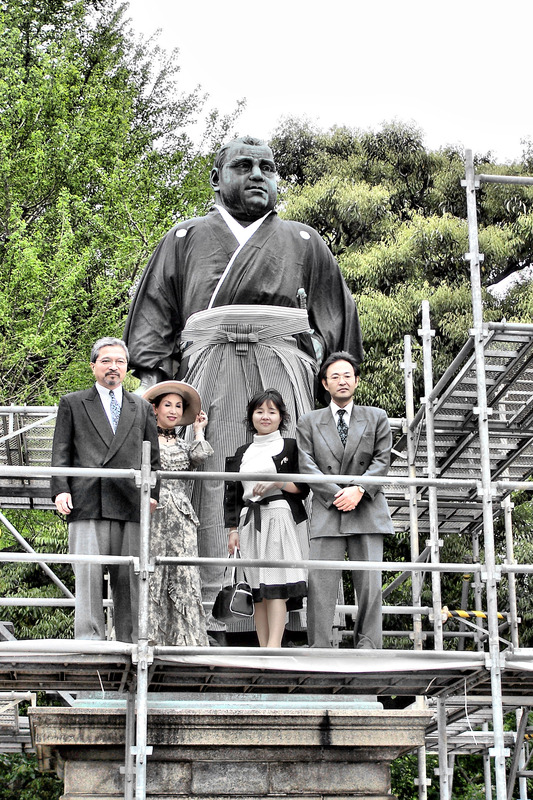 Rededication (above) of the Saigo statue at Ueno Park, April 2007, with descendents in attendance.